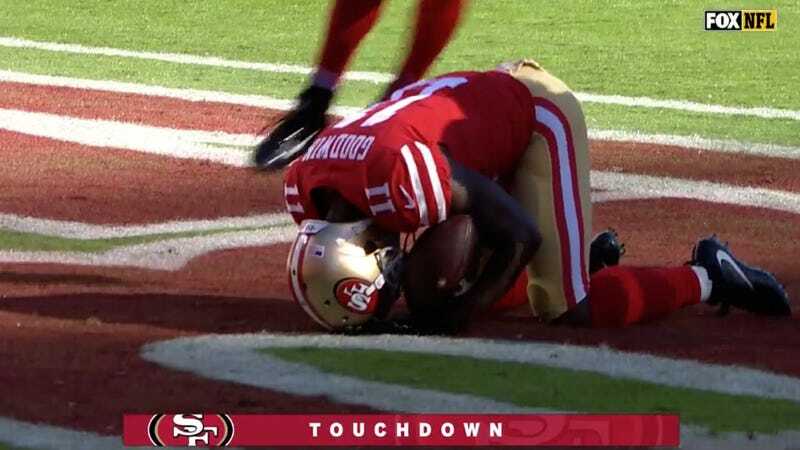 In the second quarter of the 49ers’ first win of the season, a 31-21 victory over the Giants, Olympian-turned-wide-receiver Marquise Goodwin hauled in an 83-yard touchdown and immediately dropped to his knees in prayer. 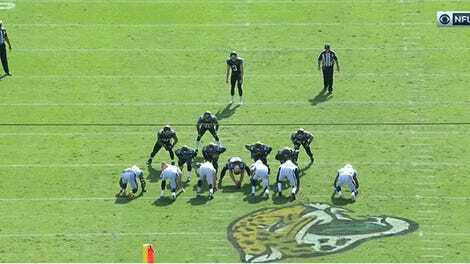 Goodwin was emotional, and his teammates surrounded him as he knelt. This whole week has taken an emotional toll on my husband and I, Struggling to keep our healthy baby safe in my womb. However, God had other plans for us. Today, I had to deliver my precious baby boy early this morning due to preterm labor. Despite our loss, my hubby kept grinding, scored his son a touchdown & got our first “W” of the season. 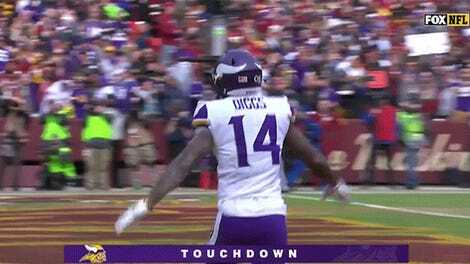 He had a wonderful game today. I️ appreciate everyone who kept us in their prayers and constantly checked in on us. Goodwin, understandably, did not stick around for media availability after the game and left to be with his family.